One of our founding trustees, Hilary, enjoys a holiday in Turkey. My husband and I have just returned from a most wonderful holiday in southern Turkey. 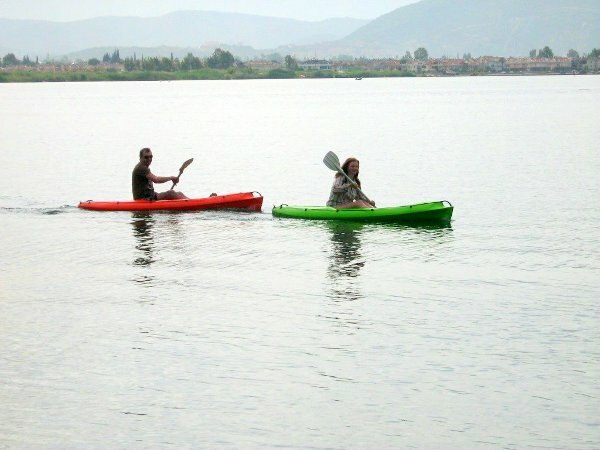 We had chosen a small island off the coast of Fethiye, which was very quiet, without traffic and with superb views. The hotel was small, having only ten bedrooms, but was really beautiful. In the evenings we would gather in the bar with the other holidaymakers for pre-dinner drinks. 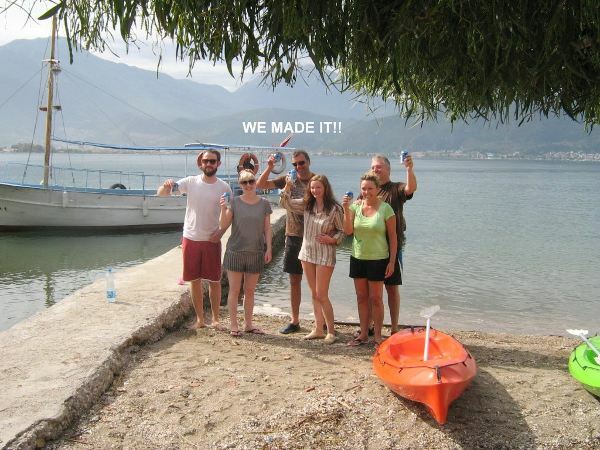 We all got on so well that one night we decided we would go to Fethiye the following day and have a meal at the renowned fish market. On the boat going over I chatted to one of the ladies spoke about her life (as you do!). She asked me about mine and I mentioned Macclesfield Cancer Help Centre (MCHC). She was intrigued by this and wanted to know all about it. The week went on splendidly. One night there was a birthday celebration which went on 'til the early hours, we could not keep up with them (unfortunately), so went to bed. Early the following morning I looked out of the window to see all the revellers from the night before assembled at the jetty, and one of them in the sea. I could not believe my eyes as they must not have gone to bed until 3am! My husband and I were alone having breakfast when one of the party came to tell us they had all decided last night to have a round-the-island race to beat previous records held - kayaking, and one swimming - 5 miles. Then I was told they had decided to donate all their bets to a charity and when the lady on the boat had told them my story they all agreed to donate to MCHC! As you can imagine, I was overcome. We had a whale of a time waiting for them all to come in. Even the ferry man leant us his boat to go and find the lone swimmer. 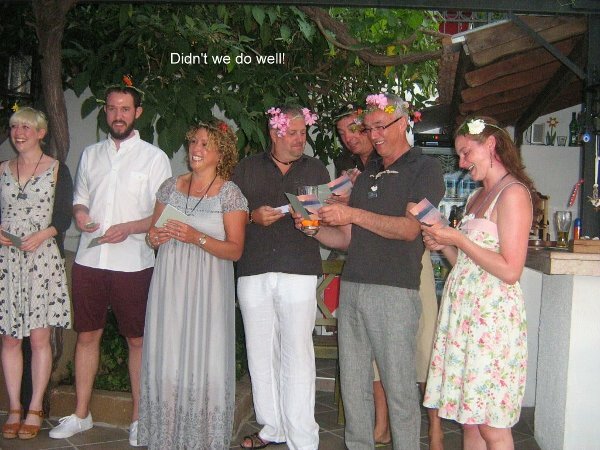 The evening was superb, with special awards (made from flowers and shells), and to top it all they presented me with 320 Lira (£130). I knew this was a special place, but to be with such special people was amazing. To be surrounded by beauty and goodness of spirit is the most uplifting feeling.